WaterNSW will increase security and provide a family-friendly, no alcohol area at its Bendeela Recreation Area in the Kangaroo Valley over the Easter long weekend and the April school holidays. WaterNSW Catchment Manager Mary Knowles, said WaterNSW will provide a 24 hour a day security presence and patrol campsites during the period, as well as implementing the popular family-friendly alcohol free area. “These measures are intended to ensure the safety of campers and wildlife and deter potential anti-social behaviour in the extremely popular camping ground,” she said. Ms Knowles said signage and educational material will inform visitors about respecting wildlife, especially the many bare-nosed wombats synonymous with the area. “Bendeela is an important part of the catchment area for Greater Sydney’s drinking water and, as custodians, WaterNSW wants the thousands of people who use the area each year to do so safely and with minimal impact on the environment. "It is important that visitors and WaterNSW work together to minimise any environmental impact on the water storage and to ensure the safety and enjoyment of all visitors. Bendeela Recreation Area is managed as two separate areas, depending on the number of vehicles and visitors. 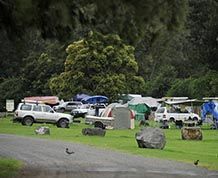 Easter and the Anzac day long weekend are expected to be busy and if the campground reaches capacity WaterNSW will not accept more campers. During the April school holidays including Anzac Day, the rear camping area will be opened to vehicles from 12 noon, Friday 7 April and closed at 12 noon, Wednesday 26 April 2016. Visitors who are planning to visit the Bendeela Recreation Area or any other WaterNSW recreation areas over the long weekend and school holiday period should refer to information on WaterNSW’s website www.waternsw.com.au.